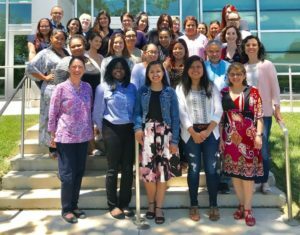 The following individuals successfully completed a 40-hour training in Community Interpreting and demonstrated adequate oral proficiency in a secondary language (test conducted by Language Testing International). Three certificate levels have been established to differentiate proficiency levels (see description below the list). Each interpreter’s level is noted in the certificate. Level 1: Qualified Interpreters: Highest recognition. May be capable of handling the more challenging or technical assignments. Scored ACTFL Superior or Advanced High for language proficiency. Level 2: Professionally Trained Interpreters: May be appropriate for intermediate level of assignments. Scored ACTFL Advanced Mid or Advanced Low for language proficiency. Level 3: Hospitality Interpreters: May be qualified to greet or direct patients or clients, make appointments, and handle basic assignments. Scored ACTFL Intermediate High for language proficiency. To learn more about the ACTFL proficiency guidelines, please click here. Would you like to be part of this list? Become a bilingual interpreter and make a difference in the community! Information here.